Rhod Gilbert has joined the latest series of Bafta Award Winning series Taskmaster. 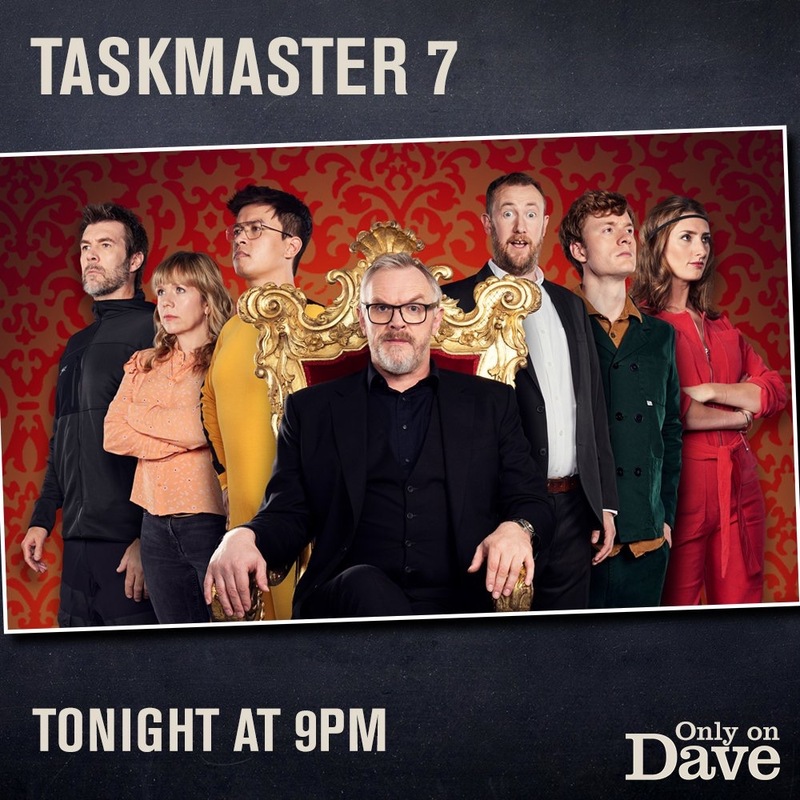 The brand new series on DAVE features Rhod alongside James Acaster, Kerry Godliman, Jessica Knappett and Phil Wang; all competing to complete bizarre tasks and carry favour with the ‘Taskmaster’ himself Greg Davies, and trusty sidekick Alex Horne. The seventh series of the acclaimed show begins at 9pm on Wednesday 5th September on DAVE.